The Russian military had engaged civilian satellites to monitor Islamic State militants during the Syrian campaign, says military observer. Photo: Angara-1.2PP space rocket during refueling at Plesetsk. Starting from 2019, the Russian Defense Ministry plans to start deploying a new space reconnaissance system based on new-generation Razdan satellites. 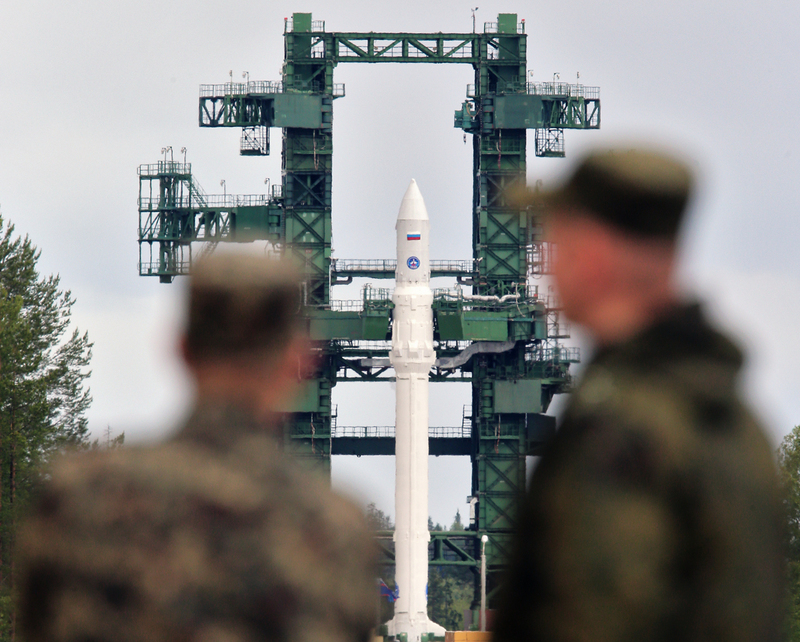 The Russian Aerospace Forces and the Samara-based Progress missile and space center are working jointly on a project involving new-generation Razdan satellites, the Kommersant business daily reports (in Russian), citing a source at the Ministry of Defense. According to Kommersant, the first satellite of the new series will be launched from the Plesetsk Cosmodrome in 2019, with the second and third to follow in 2022 and 2024 respectively. Dmitry Safonov, a military observer with the Izvestia daily, told RBTH that in the course of the Syrian campaign, the Russian military had engaged civilian satellites in monitoring Islamic State militants’ movements. “There is a need to expand space reconnaissance capabilities, and the Russian Ministry of Defense has commissioned the Samara center with creating a new satellite series,” the expert told RBTH. The Razdan is a new-generation electro-optical reconnaissance system. According to media reports, it will have “a drastically new payload and a high-speed radio channel with additional protection.” The third and subsequent satellites will be fitted with a new telescope with a diameter of over two meters. Razdan satellites will replace Persona space reconnaissance systems, which are currently tracking Islamic State militants around the Middle East.